We are delighted to announce the publication of a free, new training resource focusing on the development of legal capability, particularly for those working in community organisations and who do not have prior legal training (intermediaries). 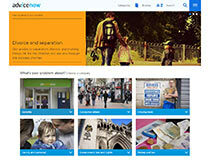 We have developed it together with our award-winning information service Advicenow (www.advicenow.org.uk). We would like to thank the London Legal Support Trust for funding this work. The resource consists of 3 training modules containing teaching guidance and handouts. 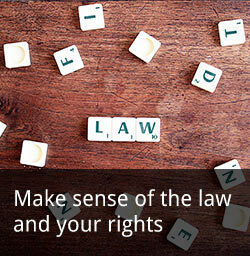 Three different legal topics have been paired with particular skills to form each module. The modules are designed to be taught consecutively but you can easily adapt them in order to teach them independently. Each module has specific learning aims as well as detailed guidance notes for each activity. Intermediaries are people who work in organisations whose service users are seeking help to deal with problems which may have legal dimensions. The intermediaries may be paid staff, students, volunteers or trustees and are unlikely to have any legal or advice training. This training aims to help them to spot a legal issue, know when the law can help, know how to find out what rights apply, and know where to get help. They can then help service users to organise and plan how to deal with their case, help with the practical steps of dealing with a law-related issue, build their confidence, support them to communicate effectively, and be organised. This training can also be used to support those who currently provide legal advice, but would like to build skills to teach public legal education. At Law for Life we think about legal capability as the personal attributes that someone needs in order to deal effectively with law-related problems. These capabilities include or encompass knowledge, skills and attitudes. The concept of legal capability is explicitly about empowerment. It aims to transform, through education, peoples’ knowledge and understanding of their legal rights and their capacity and willingness to enforce them.This is distinct from and goes beyond having specific knowledge of legal systems and processes. If you have legal capability it means you can identify potential law-related problems as they arise, find information to help you understand the problem, and take steps to deal with it. Any questions about the modules can be directed to info@lawforlife.org.uk.